Hallmark issued Batman-themed Valentine’s Day cards in 1966 — strangely, the same year Doubl Glo released a similar set. Could you imagine two companies getting the license to manufacture the same item for the same market today? I think these Hallmark cards are kinda lame, so perhaps National Periodical Publications (DC Comics) was unsatisfied and went to Doubl Glo? Or maybe it was simply a case of no one paying much attention to merchandising and licensing back in those days? After all, it wasn’t until Star Wars came along in 1977 that licensed merchandise became a cash cow. In 1966, NPP was probably just happy to get a check in the mail! These great images were also compiled by Chicago cartoonist Mark Anderson, who put them on his website. You’ll Fall In Love With These Vintage Batman Valentines! ETA: It turns out Hallmark also sold Batman Valentines that very same year! Check them out! 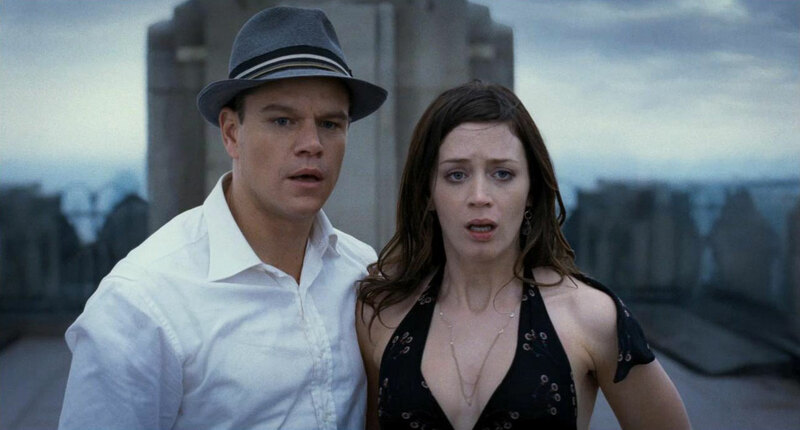 Let me make one thing clear at the outset: The best thing about The Adjustment Bureau is the costume design, which will probably land Kasia Walicka Maimone an Oscar nomination next February for all the various men’s hats and Emily Blunt’s gravity-defying dress. What won’t win any Oscar nods? Anything else from the movie. Don’t get me wrong, The Adjustment Bureau is an enjoyable enough thriller, with a unique premise, lots of running and chasing and a grand, forbidden love story for the attractive leads. It is a totally enjoyable and diverting movie.